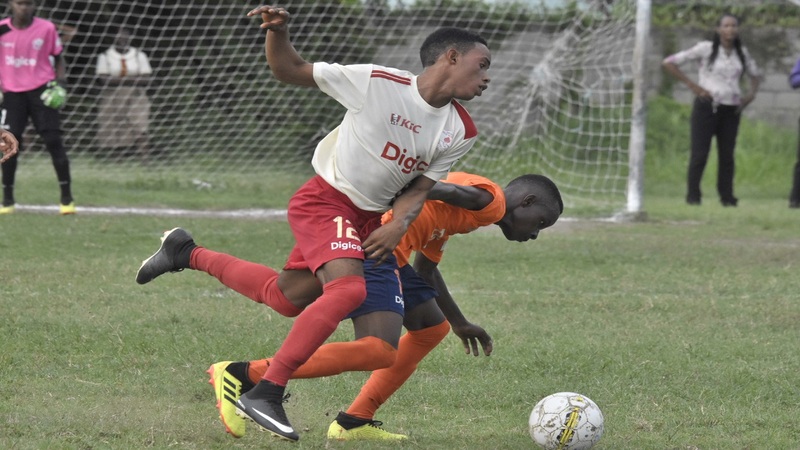 Action from the ISSA/Digicel Manning Cup second leg game between Mona High and Dunoon Technical High School at Mona High on Monday, October 8, 2018. Mona won 3-1. (PHOTOS: Marlon Reid). 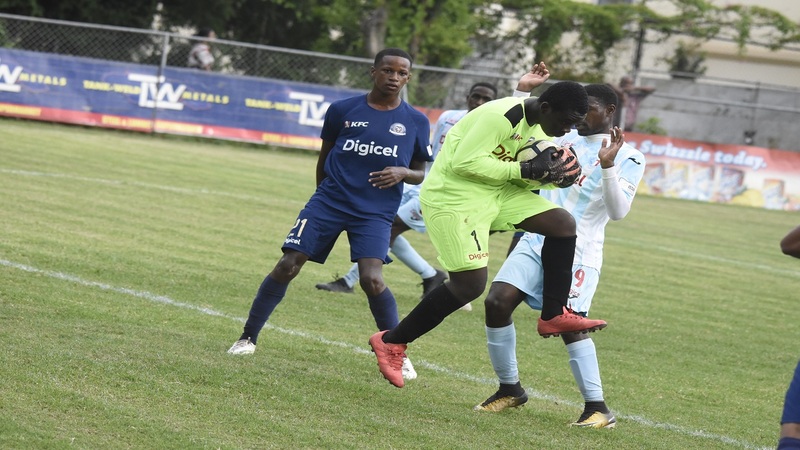 St Jago High will try to become the 13th of 14 automatic qualifiers for the second round of the 2018 ISSA/Digicel Manning Cup football competition on Match Day 20 on Tuesday. At the conclusion of the home-and-away preliminary round 16 teams will contest the second round. The first two teams in each of the seven groups will advance to the next round as automatic qualifiers. The best third place team/next best third place teams will also qualify for the next round. Those two places will be determined by the number of points earned divided by the number of matches played. Twelve of the 14 automatic qualifiers have been decided. Those schools are St George's College (Group A), Kingston College and Mona High (Group B), Camperdown High and Charlie Smith High (Group C), Denham Town High (Group D), St Catherine High and Excelsior High (Group E), five-time defending champions Jamaica College and Hydel High (Group F), Wolmer's Boys and Holy Trinity High (Group F). 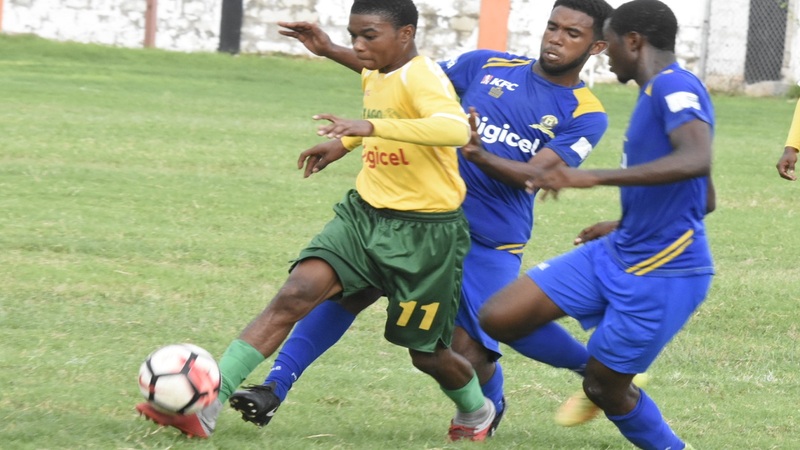 St Jago High will join the list of automatic qualifiers if they are able to secure a point against the visiting Bridgeport High in their Group D return leg match at Prison Oval in Spanish Town. With two set of matches remaining in the group, Denham Town High (20 points from eight games) have already secured their spot and second-place St Jago High, a point behind, are well positioned to join them. 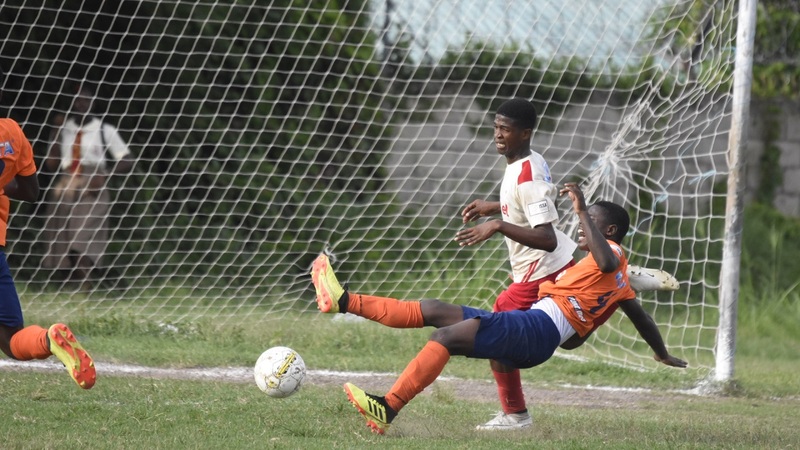 St Jago High will enter the match against Bridgeport High as big favourites after blanking the Portmore-based school 3-0 at Dunbeholden on September 24. 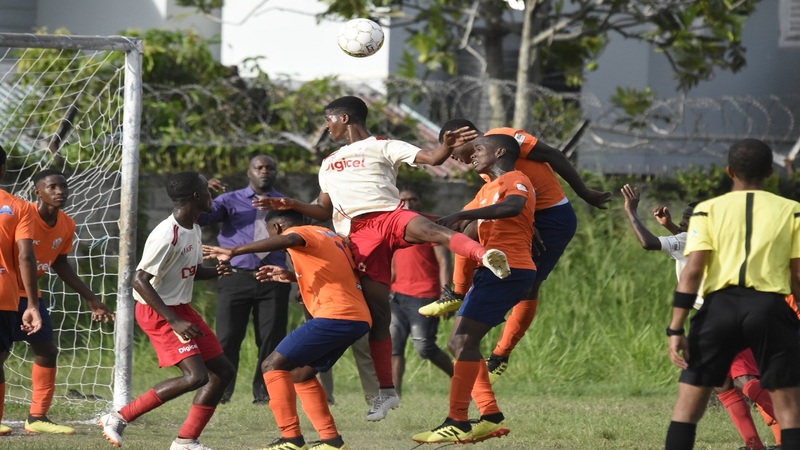 Bridgeport High, which won the Manning Cup in 2001 and 2006, are in fourth position on six points from seven games and are also out of contention for one of the two spots available for two best third place teams. Meanwhile, last year's beaten finalists St Andrew Technical High School (STATHS), Cumberland High and Tarrant High are the other teams in contention to complete the list of automatic qualifiers for the second round. All three teams are from Group A were St George's College (23 points from nine games) have secured their spot. STATHS (second place with 16 points) and Cumberland (third place with 14 points) have two outstanding games, while fourth place Tarrant High (fourth place with seven points) have three remaining games but their chance of progressing are very slim. Group A will not be in action on the day. TUESDAY'S SCHEDULE (ALL games will kick off at 3:30 pm and home teams named first). Cornwall College, St James High (Zone A); Rusea's High (Zone B); Cedric Titus High, Herbert Morrison High (Zone C); St Elizabeth Technical High School (Zone E); Manchester High and B.B. Cole (Zone F); Clarendon College and Lennon High (Group H); St Mary High (Zone J); Dinthill High and Charlemont High (Zone K); Port Antonio High (Zone L); Garvey Maceo High (Zone M); Paul Bogle High (Zone O). At the conclusion of the preliminary round, the first two teams in each of the 15 zones will advance to the next round. The best third place team/next best third place teams will also qualify for the next round. Those two places will be determined by the number of points earned divided by the number of matches played.